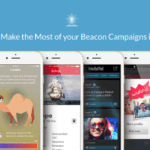 We are back with this week’s best of beacons round-up. In this feature, we cover some interesting beacon deployments from interactive zoo experiences at the Chester Zoo to how beacons deployed at the Heathrow inter-terminal buses are creating a huge advertising opportunity for brands. Smart technologies like RFID tags, beacons and the Internet of things are helping build smart spaces today. Everything from homes to airports to cities are converging into intelligent, connected ecosystems. One such example is that of Chester Zoo in the United Kingdom. ‘Islands’ at Chester Zoo has recently undertaken a unique project, that is powered by beacons. ‘Islands’ leverage their app to enhance the visitor experience – before, during and after a visit. The app allows for personalisation and visitors can have the delight of preparing for their adventure by applying for a travel visa, giving their expedition a name and packing their virtual rucksack before making the trip to the zoo. They can also use it to book tickets in advance and view the latest zoo news and photographs. When a visitor arrives at the zoo, the app’s interactive GPS map takes them on their individual journeys. Strategically placed Bluetooth beacons guide visitors along the route with relevant content relating to the animals and plants of ‘Islands’ based on the visitor’s location, unlocking special features as they explore different areas. Chester Zoo is among the most ambitious zoo projects powered by beacons undertaken in the UK so far and this innovative move is sure to enthrall its visitors. Corethree, a noted technology player in mobile ticketing, recently launched its first beacon enabled travel app. The app has been specially designed for Syntus – a leading Dutch transport operator. Corethree’s m-ticket provides a superior experience to its customers by linking their journeys with local offers and promotions based on proximity. Around 3000 beacons have been deployed all across the Netherlands, making it one of the most massive integrated travel solutions in Europe to date. The app also provides additional loyalty rewards to customers who use their m-ticket during peak times. This will encourage increased scheduling of journeys and could reduce rush hour congestion. Integrating iBeacon technology with Corethree’s mobile ticket is an extension of their commitment towards providing the best customer travel experience. The internet of things is connecting almost every object, consumer and activity in the digital space today. According to a recent McKinsey Global Institute report, IoT is forecasted to have a total economic impact between $3.9 and $11 trillion a year by 2025, including $410 billion to $1.2 trillion per year in retail environments. IoT is forecasted to have a total economic impact between $3.9 and $11 trillion a year by 2025. Inter-terminal buses at Heathrow airport in the UK, will now be offering a very creative and immersive experience to its travellers. The buses come geared with NFC, beacons and digital screens, to ensure that all key touch points in a traveller’s connection journey at the airport provide a high quality and enhanced experience. The digital capabilities on the bus can also provide a wealth of opportunities for brands to create an impactful presence across the entire fleet of 26 buses. The media toolkit boasts of exterior wraps to interior furnishings, flooring, digital screens and seat-back tablets. This new project is all set to generate new revenue for the airport by opening up operational service channels that were previously untapped. Penn state researchers are using BLE beacons to turn spaces like The Arboretum at Penn State into interactive places of learning for children and families. The project was inspired by museums across the USA — including the Palmer Museum of Art at Penn State — that have been using iBeacons to enhance visitors’ experiences. The idea behind the project was to create new ways of learning, with technology acting as a tool to help students learn, as against distract them. The researchers have created several ‘learning tours’ of The Arboretum that are triggered by beacons; for example, a tour called ‘Tree Investigators’ teaches school children about the different ways trees produce their seeds. In addition, the app also allows students to learn at their own pace, in order to create a natural drive for learning in them. This beacon supported project creates a distinct opportunity to support science learning informally by cultivating interests of youth and families during their time together in natural settings. You’re welcome Jessica. Do check out the rest of our blogs!